New York music writer Jim Bessman discusses the third annual Johnny Cash Music Festival, starring Vince Gill, Tommy Cash, Joanne Cash Yates, Larry Gatlin and the Gatlin Brothers, and the Statler Brothers’ Jimmy Fortune. The article includes an interview with Tommy Cash about the Dyess house and restoration efforts, as well as some thoughts about his brother, Johnny Cash. “He was J.R. to all of us,” says Cash. “That was his real name—J.R. Cash. He was just Big Brother to me. He let me ride on his cotton sack when I was four and five-years-old, and made chocolate fudge on Wednesday nights. 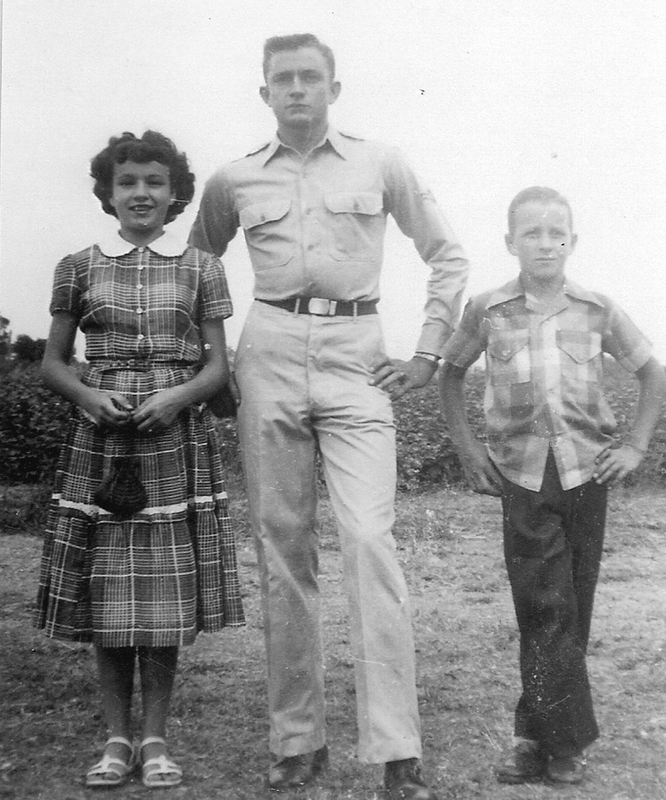 It wasn’t until 1955 when Sam Phillips at Sun Records said, ‘You got to have a name other than ‘J.R.’ and used the name ‘Johnny’ on his first record that he became ‘Johnny Cash’—and the rest is history.” In the image, Joanne is pictured to the left with J.R. in the middle and Tommy to the right. For the full article, click here.